German photographer. Shortly after Gursky was born, his family relocated to Essen, and then to Düsseldorf, West Germany in 1957. Gursky’s parents ran a commercial photography studio, but Gursky had no plans to join the business. He attended the Folkwangschule in Essen (1978-80) with a concentration in visual communication and the goal of becoming a photojournalist, but was unsuccessful with finding work. Encouraged by fellow photographer Thomas Struth, Gursky entered the prestigious Kunstakademie, Düsseldorf in 1980 and in his second year began studying photography under Bernd and Hilla Becher. Although the Becher’s preferred black and white photography, Gursky only worked in color, and with the help of his friends set up a color darkroom in 1981. By integrating the “systematically objective and rigorously conceptual”* documentary style of the Bechers’ photography with his taste for color, Gursky began to explore the contemporary culture of the world. Gursky had his first exhibition in 1981 featuring his series Pförtnerbilder (1981-5), a collection of works depicting pairs of German security guards. After graduating from the Kunstakademie in 1987, Gursky focused on photographing urban landscapes, both interior and exterior, and began to increase the size of his large format prints. Gursky had his first solo gallery show in 1988, at the Galerie Johnen & Schöttle. A rise of interest in the international art market for photography paired with the growing popularity of the Becher’s circle brought Gursky much commercial success. Gursky began the infamous May Day series (early 1990’s) in reaction to the biggest economic slump of recent history. A combination of the collapsing stock market with the growth of a dynamic drug-addicted rave scene inspired this photographic compilation. During this time, Gursky traveled to a number of international cities such as Tokyo, Los Angeles, Stockholm, Cairo and Hong Kong in order to photograph the masses – busy stock exchanges, manufacturing plants, industrial-looking apartment buildings, crowded arenas and swarming clubs. 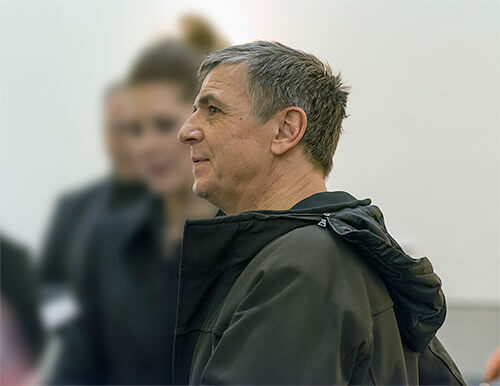 Gursky was one of the first contemporary photographers to use new digital photo editing techniques on his large format photographs. In 1999, Gursky created 99 Cent, the first in a series of photographs of discount stores, which “was quickly recognized as one of his most important works and placed in major museums around the world.”* Gursky’s retrospective at the Museum of Modern Art, New York in 2001, which included the work May Day IV, confirmed him as one of the greatest artistic visionaries of his generation. The big, bold, seductive, and surprising color photographs of German photographer Andreas Gursky set forth a stunning image of our contemporary world of high-tech industry, international markets, big-time sports, fast-paced tourism, and slick commerce. Tracking the zeitgeist from his native Germany to such far-flung places as Hong Kong, Brasilia, Cairo, New York, Shanghai, Stockholm, Tokyo, Paris, Singapore, and Los Angeles, Gursky has earned acclaim at the leading edge of contemporary art with a polished signature style that draws upon a great diversity of ideas, precedents, and techniques. Created in collaboration with the artist, this oversize book surveys the fullness of his work to date with gorgeous colorplates, generous two-page details, and a wealth of supporting illustrations. 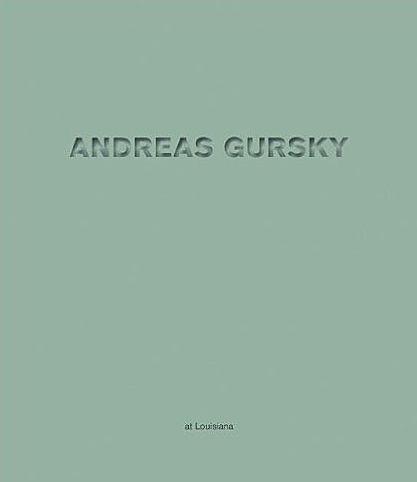 The first in-depth study in English of Gursky's art, this book was published in conjunction with a major retrospective at The Museum of Modern Art, New York.